Edinburgh Centre for Carbon Innovation 2015. Things that move or change from one thing to another, changes of state usually occur invisibly because changes are progressive and as such, seamless. It is in this way that carbon production occurs. We live lives that pollute but our carbon production is invisible to us. 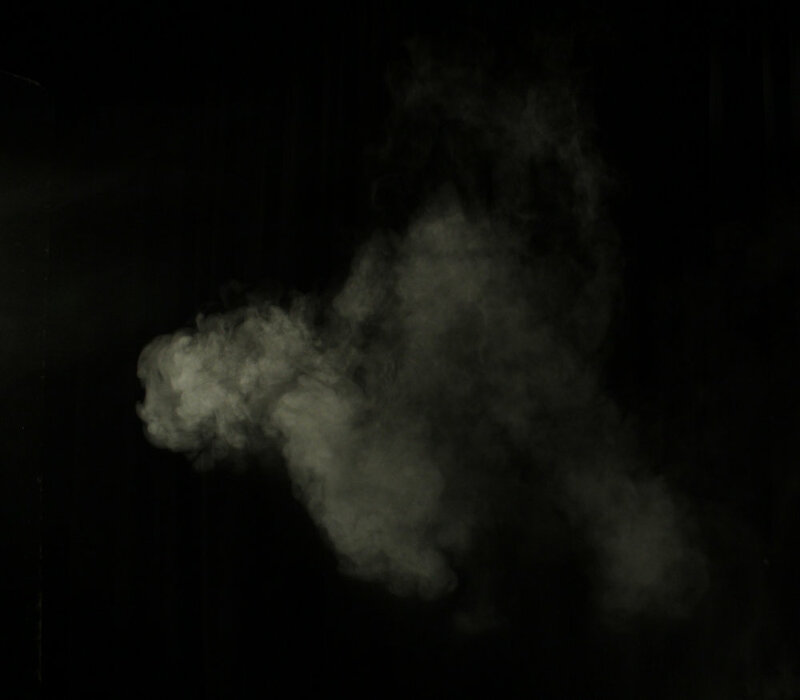 My work is an attempt to show a solid, visible sample of carbon and by blowing, dispersing it into the air, in doing so, give the appearance of a cloud. This is a perceived change not an actual change; it is of course our perception regarding carbon production and its potential consequences that prevent change. People don’t perceive a noticeable climatic change because it occurs over time, the change is invisible. Thanks to Thomas Morgan for filming the Performance.